Save the hassle of organising a lucky draw by using SMS lucky draw. It’s simple, easy and fast. 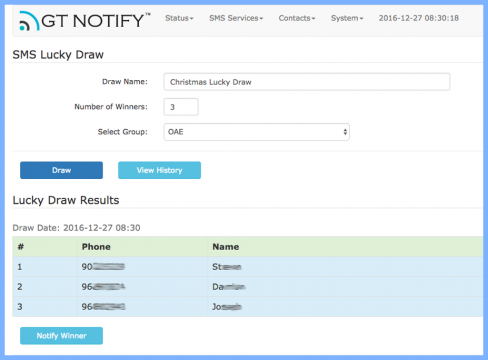 You can draw any number of winners from a subscriber group by a simple click. The draw result will also be stored in the draw history.